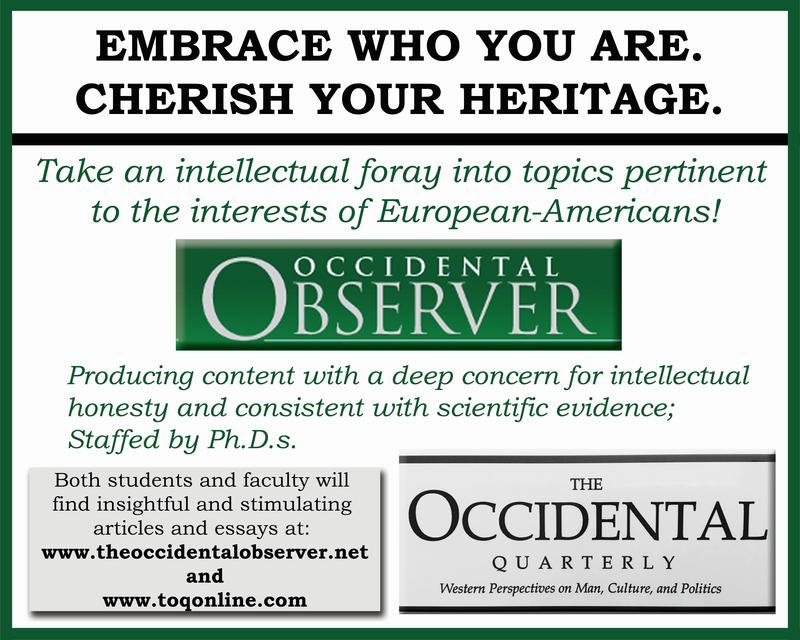 We at TOO are cooperating with a new ad agency, Free Press Promotions, to attempt to get ads for TOO and TOQ into college newspapers. We thought the University of Chicago would be a good place to start given that they have loudly proclaimed themselves opposed to safe spaces and trigger warnings. Two possible ads were submitted (shown above and below here), and both were rejected by the newspaper with the simple statement, “unfortunately, our editors did not approve them.” Free Press Promotions emailed the president and the dean to get their reactions, but so far no response. Free speech is at risk at the very institution where it should be assured: the university. Invited speakers are disinvited because a segment of a university community deems them offensive, while other orators are shouted down for similar reasons. Demands are made to eliminate readings that might make some students uncomfortable. Individuals are forced to apologize for expressing views that conflict with prevailing perceptions. In many cases, these efforts have been supported by university administrators. Yet what is the value of a university education without encountering, reflecting on and debating ideas that differ from the ones that students brought with them to college? The purpose of a university education is to provide the critical pathway by which students can fulfill their potential, change the trajectory of their families, and build healthier and more inclusive societies. … One word summarizes the process by which universities impart these skills: questioning. Questioning is great, as long as questioning results in inclusiveness. One has the feeling that not everything is on the table. Essential to this process is an environment that promotes free expression and the open exchange of ideas, ensuring that difficult questions are asked and that diverse and challenging perspectives are considered. This underscores the importance of diversity among students, faculty and visitors—diversity of background, belief and experience. Without this, students’ experience becomes a weak imitation of a true education, and the value of that education is seriously diminished. We have seen efforts to suppress discussion of Charles Darwin’s work, to insist upon particular political perspectives during the McCarthy era, to impose exclusionary acts of racial and religious discrimination, and to demand compliance with various forms of “moral” behavior. The silencing being advocated today is equally as problematic. Every attempt to legitimize silencing creates justification for others to restrain speech that they do not like in the future. 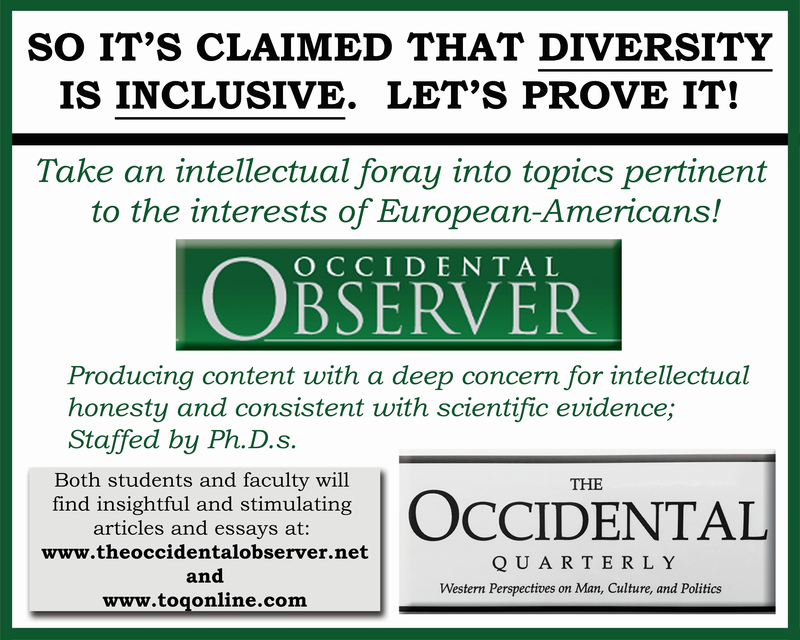 Since much of the material published in TOO and TOQ is firmly grounded in Darwinism and evolutionary psychology and since many of our writers have academic backgrounds, one would think that the university would be very open to the views expressed in TOO and TOQ. Moreover, regarding the McCarthy era, that was when the left was on the defensive and were strong advocates for free speech. But now that the left is in charge, they are leaders in squelching speech they don’t like. So I am inclined to think that Zimmer’s virtue signaling on free speech is a sham. Despite all the high-flown phrases, his university is just another institution defending the hegemony of the left in academia. And Zimmer is just another well-paid soldier in service of our corrupt establishment. The anti-White revolution is indeed massively incentivized. I suggest letting Pres. Zimmer know how you feel about this. His email is: president@uchicago.edu. Please be civil and reasonably polite.